Until today, I didn’t know of the existence of World Autism Awareness Day. 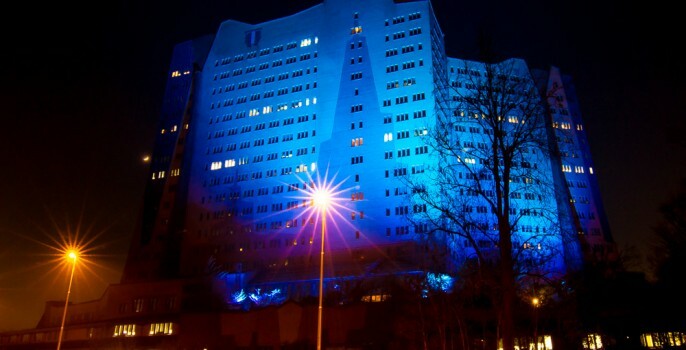 To raise awareness for autism, 2.000 eye-catching buildings in more than 180 cities in 35 countries on 6 continents are lit up blue at this same day. 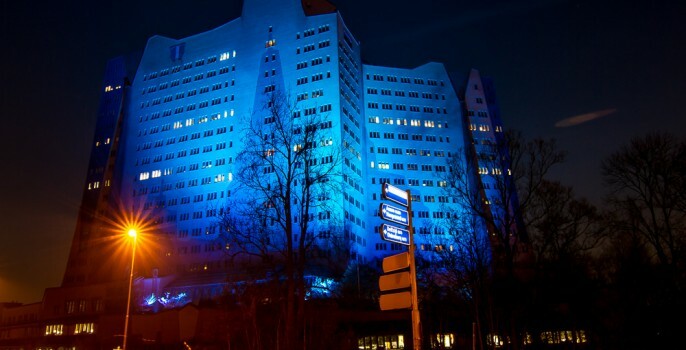 The remarkable building of gasinfrastructure company Gasunie in Groningen was one of the blue lit buildings in the Netherlands, together with the Royal Palace Soestdijk. Following in the footsteps of among others: the Empire State Building, the Opera House, the Christ the Redeemer Statue in Rio and the Niagra Falls. It felt a little like the ‘bird alert organisations’ spotted a very rare Ivory-billed swallow-tailed speckled Woodpecker in summer plumage. 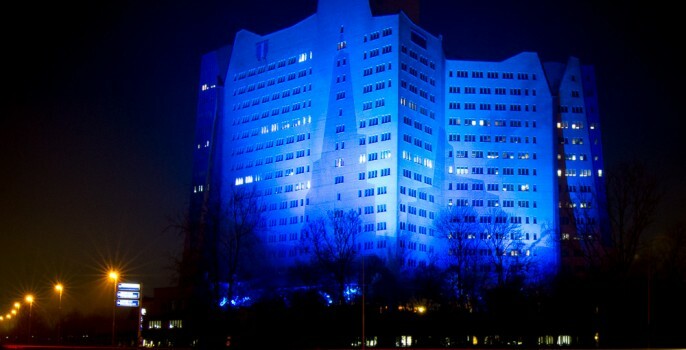 All the photographers came out to shoot the Gasunie building in this unique blue light.